Allama Mohammad Iqbal, the poet of the East was born in Sialkot, a town in the Punjab, on 9th November, 1877. He received his early education in his home town. In 1895, he went to Government College, Lahore. He passed his M.A. in 1899, from the University of Punjab. In the same year, he was appointed Professor of Arabic at The Oriental College, Lahore. He held this job till 1905. In that year, he left for England for Higher Studies. In London he received a law degree. In 1908, he was awarded a degree of Ph.D by The Munich University. For his work on Persian Philosophy. That is why he is also known as Dr. Mohammad Iqbal. 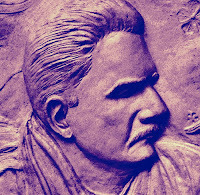 Allama Iqbal is generally known as a great Poet. He was no Doubt a great Poet, But poetry was only one of his many Accomplishments. He was well-versed in philosophy, both Eastern and Western. He pointed out the Defects in some of the Philosophical systems of the West. He devoted a great part of his life to the study of Islam. He also took an active part in politics. He worked for the Muslims of South Asia with great courage. He was elected a member of the Punjab Legislative Council in 1926 and held that office till 1929. He did not seek re-election. He was elected President of the Punjab branch of the All India Muslim League and held that post till his death. In 1930, he presided over the Allahabad meeting of the All India Muslim . It was on this historic occasion that he made a definite demand for a separate Muslim State in South Asia. In his presidential address Dr. Iqbal said, “India is a continent of human groups belonging to different races, speaking different languages and believing in different religions. Their behaviour is not governed by a common race feeling. These groups are all separate nations. The principle of European democracy cannot be applied to India without recognising the fact of different . The Muslim demand to create a Muslim India within India is in no way without justice. For my part I would like to go one step forward; I would like to see the Punjab, North West Frontier Province, Sindh and Baluchistan united under a single Muslim State. The Muslims was anxious to have a separate state, because they fear the Hindu Majority which, they believe, will not allow Muslims to develop freely”. This demand shocked both the Hindus and the British alike. They opposed to it. The Muslims awoke from their sleep as a result of Iqbal’s efforts. They turned over a new leaf. Now they all wanted a separate Muslim State. The Muslim League representing the whole of Muslim India, met in Lahore and passed a Resolution on 23 March, 1940, demanding a separate state for the Muslims of India. This resolution is now known as the ‘Pakistan Resolution‘. From this time onward the Muslims never looked back. They put their heart and soul into the struggle for Pakistan. They succeeded in their struggle. On 14th August, 1947, Pakistan appeared on the Map of the World. Iqbal died in 1938, and could not see the Actual Creation of Pakistan, but he had played a major Part in it’s Creation. 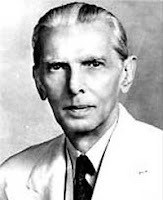 The Quaid-i-Azam praised Iqbal’s role in a message of his death: “To me he was a friend Guide and Philosopher, and during the darkest moments through which the Muslim League had to go, he stood like a Rock“. I have learnt one (1) lesson from the history of Muslims. At difficult moments in their history, it is Islam that has saved Muslims and not Muslims that have saved Islam. If today you put your faith in Islam, you will become strong and united once again and save yourselves from complete destruction.